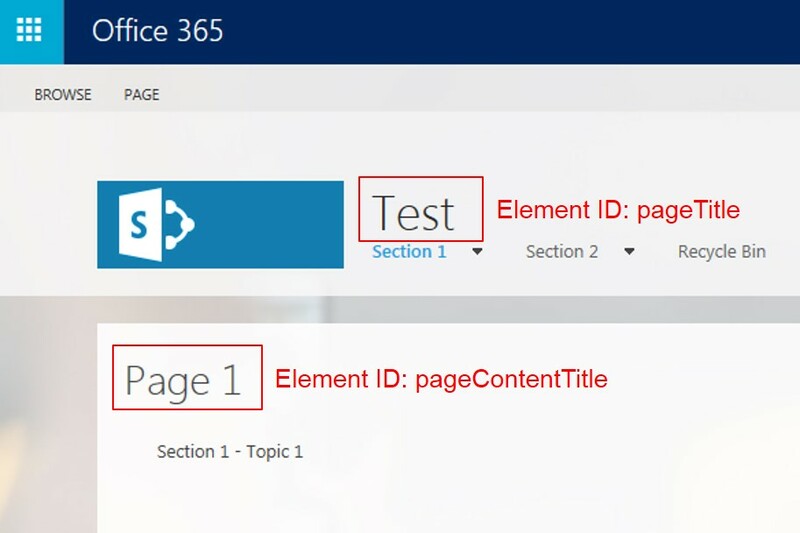 Is it possible to hide or remove the Page Title on specific pages in SharePoint online? Any assistence in where I should look to acheive this is appreciated. Follow this link for adding script editor web part. You can attach below css to your master page. The name of the site displayed at the top of the page by default. This title has element ID pageTitle. You will have to do this on all pages where you want to hide the page title. put custom css to hide the text in master page. This will remove the title from all pages. If you need for specific pages add a content editor web part in the page and add the custom css. How to create an empty page using sharepoint online?